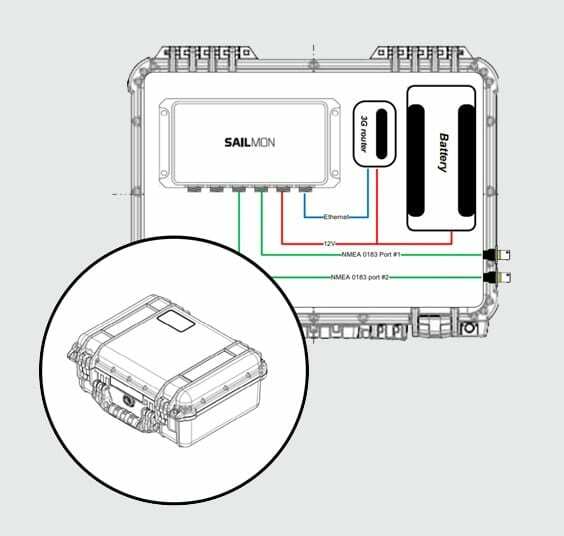 The best what Sailmon can offer in just one peli case. With this self-contained system, you can benefit of all the unique features of our sailing instruments, wherever you are and whenever you want. Just connect the system to the boat you are on and enjoy the next level of marine electronics directly. The Element 10 is offering crisp and crystal-clear readability in all conditions, whether you are using them in bright sunlight or pitch black. With our app you can completely configurable the display with free format values, digits, graphs, and data layouts, allowing you to show as much data as you want. 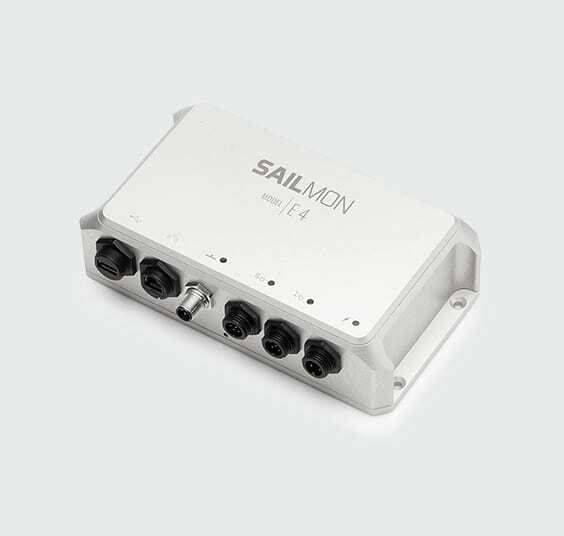 The high-performance Model E4 Silver sailing processor delivers fast, accurate and reliable data. 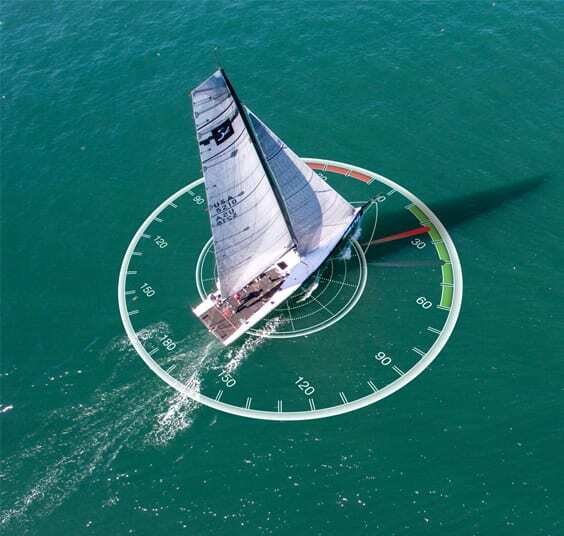 The E4 Silver uses algorithms designed and used by pro sailors, combining sailing data with advanced racing technology, allowing you to configure, calibrate and view your boat data everywhere. The package is designed to be installed in almost every situation. 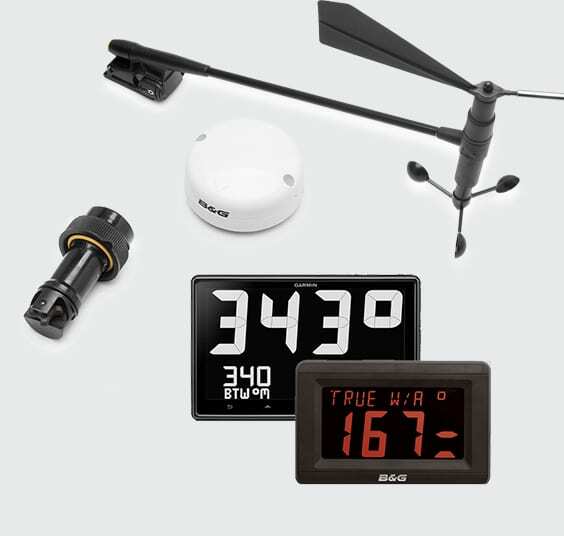 The Model E4 is compatible with all sensors such as wind, boat speed, compass and mast rotation. Simply replace your existing processor with the Model E4. This system can use a wide range of sensors based on NMEA, B&G, Nexus or Raymarine protocols. Connect the Model E4 to the internet with the 3G Wi-Fi router en profit instant of the benefits of being online with your boat. Log, display and share your data with Sailmon Logs and make your trip a unique sailing experience. 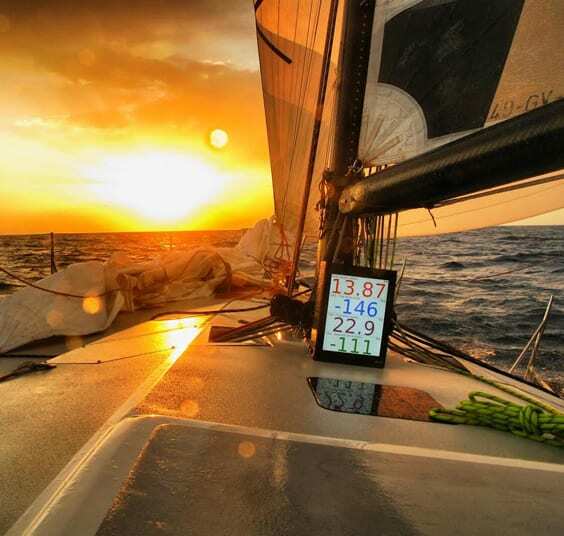 Sailmon Logs is the social sailing platform for sharing, logging and replaying data & media to re-live trips. It is the perfect platform to help sailors and their coaches improve performance. 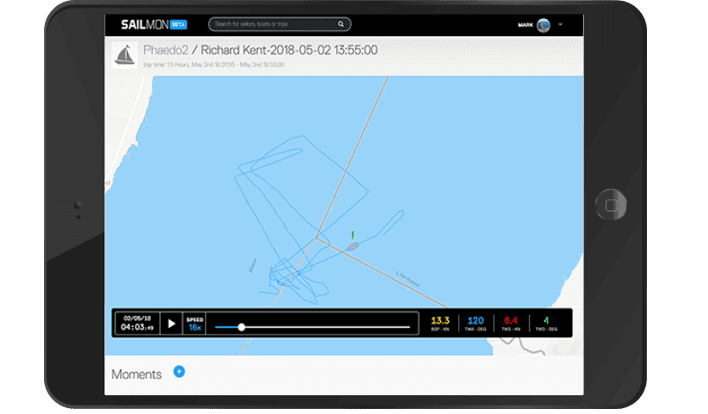 It enables users to sync onboard data with a picture or video content captured whilst sailing and stream it live or upload it for people to replay whenever they choose. The best what Sailmon can offer in just one peli case. With this self-contained system, you can benefit of all the unique features of our products, wherever you are and whenever you want.